On March 4th, French President Emmanuel Macron seized the spiritual banner of the European Union (EU) and made his case appealing for a Renaissance of the Union. The core principles of the EU are being challenged on many fronts. There is an ugly Brexit battle in the west, scorn and vitriol from Italy and Greece in the south, and nationalistic attacks on the EU’s structures in Warsaw, Budapest, and other capitals. Macron’s attempt to rekindle the European spirit is a very public attempt to repudiate the populist agenda simmering throughout the member states. But will there be a Renaissance; will the EU continue to centralize power and inspire European unity? Or will there instead be a period of policy strife and conflict? More importantly from a political risk perspective: how will the near future of the EU impact business interests on the continent? The United Kingdom’s torturous Brexit process serves one clear purpose for the rest of the EU: member states and their populations have seen that divorce from the Union is a painful and costly process. Nevertheless, it represents an extreme manifestation of the growing dissatisfaction of many European voters on the direction the EU has taken. Populist parties, especially, have seized on scapegoating the EU as a political ploy to drum up votes. Complaining about the structure or policies of the EU has been a trend for many years. However, now the tone has shifted to a cri de coeur from voters who are frustrated by economic stagnation and are grappling with the dramatic wave of recent migration into the EU. The EU is likely entering a challenging period of bureaucratic stagnation and painful public debate. Macron’s public spat with populist leadership in Italy is emblematic of this Sturm und Drang struggle in Europe. Progressive, liberal EU-oriented leadership will be forced to reckon with underlying symptoms of the populist wave. Spurred by both economic discontent and a strong desire for ‘tradition’ (which is often simply xenophobiain its myriad manifestations), the populist movements are almost universally challenging the value and direction of the EU. Macron’s attempt to ignite a counter-movement is generally well-received by the public in other EU nations. 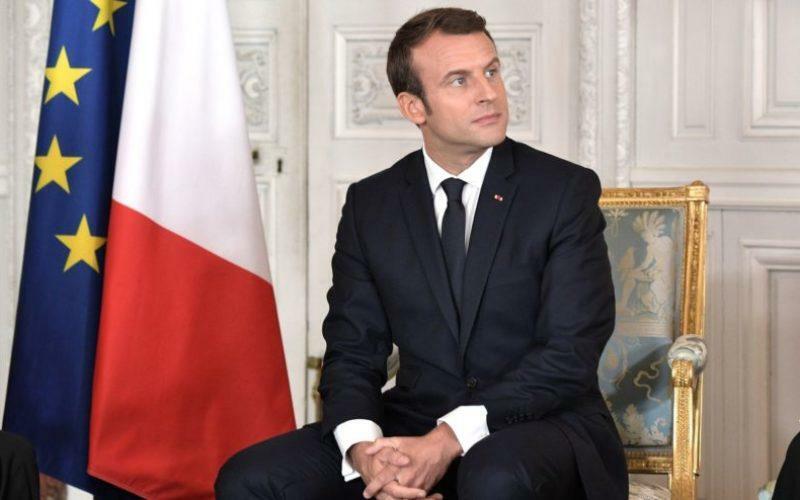 However, the vitriol poured on him by political opponents in France underscored that his position as a long-term spur to European renewal is fragile at best. The European parliamentary elections in May will undoubtedly reflect this divergence in opinion about the Union’s future. Certain parties are committed to dismantling or degrading the structure of the EU to further their own agendas – and they may have the votes to do it. What political risks do businesses in Europe face? This struggle over the direction of the EU will also determine how it is positioned as a business platform vis-à-vis other major trading powers in the next decade. Of special interest, of course, are the competitive markets in China and the United States. Recent calls to create ‘European Champions’, especially in the tech industry, suggest member state leaders are willing to embrace a more protectionist position. This would help them to compete against the United States and China for their share of global trade. Additionally, what else can we expect from the internal struggle to renew or revamp the EU in the wake of ‘Brexit’? With strong populist forces dictating the terms of public debate, what political risks will businesses face? The Trump administration’s hardline stance with China, which has slowed global growth, may at long last be paying some dividends in opening China, at least on paper, to more favourable terms for U.S. trade. While the U.S. – EU trade war has been in abeyance pending discussions between the trade offices in the two countries, those negotiations have shown little progress. If the U.S. uses similar tactics with the EU, the resulting trade conflict could drag on for an extended period. It will, in the short-to-medium term, risk that further trade barriers will be set up against U.S. companies and other competitors to protect EU interests. Combined with German and French shared interests to challenge the U.S. on tech and fight the influence of U.S.-based companies such as Apple, Google and Microsoft; there is a substantial risk that both direct and indirect methods of regulation (such as the GDPR) will be imposed to limit U.S. access to the EU market. Despite wrenchingly different perspectives among member state constituencies, the national governments seem committed to change. They want to restructure competition law in the EU to support European mergers so that they are theoretically more competitive. Since the issues are complex and don’t appear to lend themselves to populist scare-mongering, endeavours to support the creation of ‘European Champions’ of industry should meet with comparatively little public interest or resistance. The Franco-German alliance is, on this issue, stable and strong. Other nations have signed up to reforming the competition system as well, agreeing that the system is outdated. With Commissioner Vestager leaving her position, the bureaucracy which supports EU competition reviews and policies will be more open (and vulnerable) to change. Banks moving operations out of the UK due to Brexit were already warned of a forthcoming increase in scrutiny as the traditional financial centre of London becomes diffused over the EU. These moves have been to Frankfurt, Luxembourg, Paris, and Dublin, among others. The growing concern over Russian funds being whitewashed by banks in the Baltic States and Scandinavia means that this is an area where member states and the EU will find common ground to enhance scrutiny and tighten the rules on foreign funds entering the EU banking system. However, a greater role and further autonomy for the European Central Bank in monetary policy is likely not in the cards due to concerns from populist parties as to its role in the economy. Regardless of the political battles to determine the direction of the EU in the next few years – whether to centralize and re-invigorate the ‘ever closer union’, or to decentralize powers back to the member states in certain areas – the painful divorce process that the globe has witnessed with the UK’s attempt to leave the EU serves one positive purpose. For most observers, watching the UK struggle to extricate itself has cooled their ardour to do the same. From a political risk perspective, the risk of further fracturing of the union has decreased in the immediate future. While no one can be certain of what direction the EU will take, it will at least move forward as a unit.